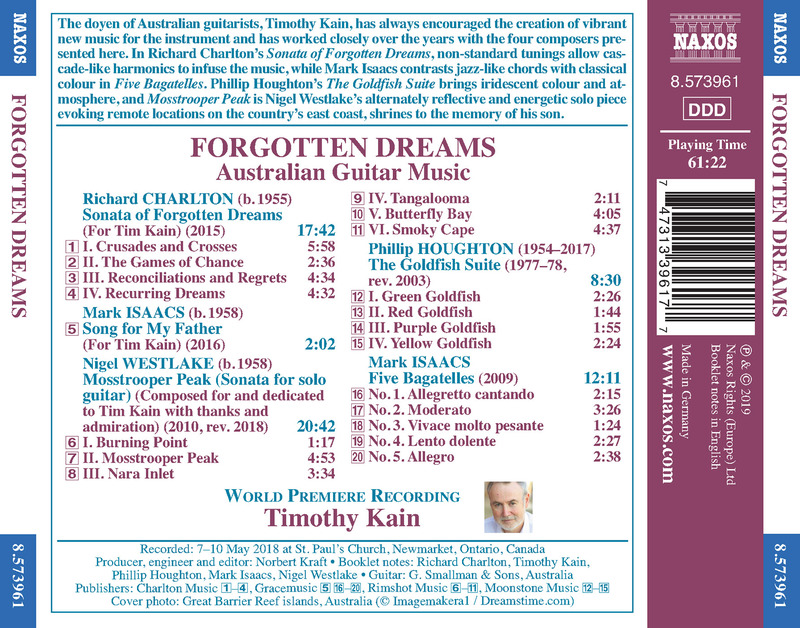 The doyen of Australian guitarists, Timothy Kain, has always encouraged the creation of vibrant new music for the instrument and has worked closely over the years with the four composers presented here. 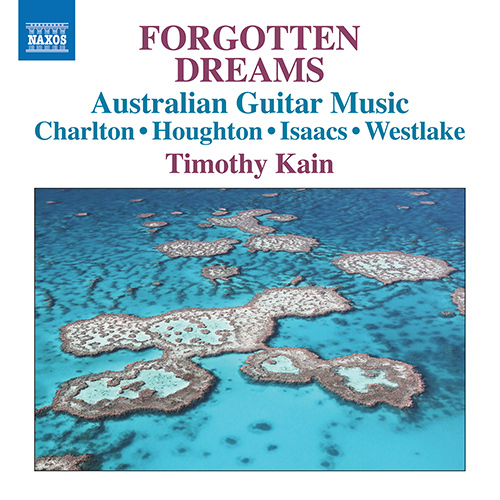 In Richard Charlton’sÂ Sonata of Forgotten Dreams, non-standard tunings allow cascade-like harmonics to infuse the music, while Mark Isaacs contrasts jazz-like chords with classical colour inÂ Five Bagatelles. Phillip Houghton’sÂ The Goldfish SuiteÂ brings iridescent colour and atmosphere, andÂ Mosstrooper PeakÂ is Nigel Westlake’s alternately reflective and energetic solo piece evoking remote locations on the country’s east coast, shrines to the memory of his son.